“Best Coast Jazz” featured album Introducing the Contemporary Playlist! This is an outstanding album and even more impressive, it’s live! Talk about a great Jazz bands flying under the radar, the Jazz Crusaders are basically known to dedicated Jazz fans only. That’s why it is being featured here and of course, so the Jazz Con Class listeners can learn more about them. The name of the album is “The Festival Album” and will be featured here for a couple of weeks, then released into the G4 playlist and where mostly live compilations and concerts can be found. Check the Schedule link for play times. Great stuff, ENJOY! 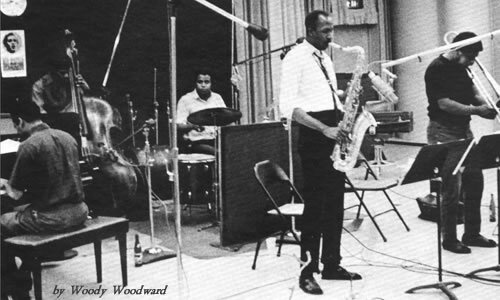 In 1960, following the demise of a few short-lived Houston-based groups called The Swingsters and the Nite Hawks, pianist Joe Sample, drummer Stix Hooper, saxophonist Wilton Felder and trombonist Wayne Henderson relocated to Los Angeles, CA. 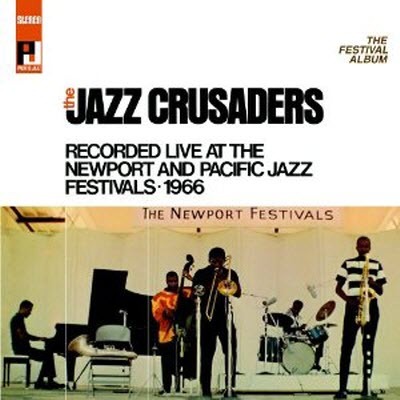 After changing their name to “The Jazz Crusaders,” the group signed with Pacific Jazz Records, where they would remain throughout the 1960s. Employing a two-manned front-line horn section (trombone and tenor saxophone), the group’s sound was rooted in hard bop, with an emphasis on R&Band soul.